BrandpointContent - What does the color of your home reveal about you? A home’s curb appeal leaves a powerful first impression. Yet, according to the recent poll conducted by Ply Gem Building Products, only half of homeowners say their home’s exterior reflects their personality. This is an especially surprising statistic since 81 percent of Americans say the exterior of a home shapes their view of the homeowner. * Calm, cool, collected = Blue: More than half the population (55 percent) believes the color blue has the most positive impact on their mood, which explains why blue skies are synonymous with peace and happiness. Along these lines, blue siding coordinates easily with a variety of accent colors whether it be white and gray or red and orange. * Safe, certain, dependable = Neutral: Neutrals are the norm when it comes to exterior color preferences. Fifty-three percent of Americans would choose neutral colors such as beige, white or gray for the exterior of their home. In fact, if you want the latest on-trend curb appeal, consider shades of gray, which have grown in popularity by about 5 percent over the past four years. Gray is very versatile — it can easily be mixed and matched with just about any accent color and trim selection. * Brave, confident = Bold: If you want to stand out and make a statement, dramatic siding colors are the way to go. Fifty-five percent of Americans say homes with bold colors belong to people with bold personalities. 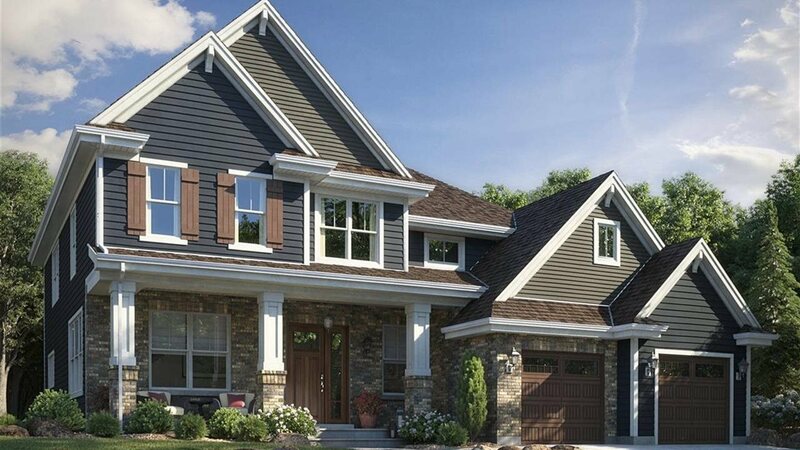 Recent advances in vinyl siding technology, such as the SolarDefense reflective technology from Ply Gem Mastic, have made it possible to choose daring colors such as deep reds, greens and browns. Are you still unsure about which siding color best suits you? Take the risk out of choosing colors by using an online visualizer tool like the one available from Ply Gem Mastic. The visualizer lets you preview what your color choices will look like on your home before you make a commitment. While colors can send a message, that statement can be undermined by a lack of upkeep. Seventy-eight percent of Americans say the maintenance of a home also impacts their first impression of a homeowner. Consider low-maintenance products like vinyl siding, which come in endless color options, but do not require upkeep such as painting or staining. Thirty-seven percent of homeowners say they did not get to choose the exterior siding on their home. If you’re part of that group, what better time than the present to update the look of your house (before the holiday season kicks in)? Doing so could also add significant value to your home. According to the latest cost versus value survey by Remodeling Magazine, upgrading to vinyl siding recoups 76 percent of the project cost on average. For more information on adding personality — and value — to your home, visit www.mastic.com. Your home’s exterior gives off a powerful first impression. A recent poll conducted by vinyl siding brand Mastic by Ply Gem showed that only half of homeowners say their home’s exterior reflects their personality. This is surprising since 81 percent say a home’s exterior shapes their impression of the homeowner. * Blue = Calm, cool, collected: Fifty-five percent believe that blue has the most positive impact on their mood. * Neutral = Safe, certain, dependable: Neutrals are the norm when it comes to exterior color preferences. Fifty-three percent of Americans would choose neutral colors such as beige, white, or gray for the exterior of their dream home. * Bold = Brave, confident: Fifty-five percent of Americans say homes with bold colors probably belong to people with bold personalities.